Today, we are seeing a more and more expanded role of endovascular therapy (EVT) in acute ischemic stroke. Despite the ever-growing body of research describing indications for EVT, we continually see patients in practice who do not “fit the mold” of the various trials’ inclusion criteria. Weighing heavily on many stroke practitioners is how to best approach and manage the patient with an apparent large vessel occlusion with a mild corresponding clinical syndrome. How can we predict if these patients will incur more benefit or risk from EVT? While some clinical trials are pending, this observational study describes a prediction score based on age and stroke severity which they called the Stroke Checkerboard (SC) score. Anyone who takes calls or sees patients in the emergency room is all too familiar with acute symptoms in patients with vascular risk factors for stroke, but which are non-localizing, anatomically unlikely to be vascular, or classically associated with non-vascular problems. This paper is a valuable step in the identification of patients who would benefit from treatment and risk-stratification but who present with atypical symptoms by building on previous observational studies using modern-day MRI imaging to assess the localization and prognosis of this symptoms. The main limitation is that the study population is limited to people of Asian ancestry, which limits generalizability. Historical review of the beginnings of the analysis of non-focal symptoms starts in the article with Dutch TIA Trial (DTT) in 1992, where it was found that non-focal TIA symptoms alongside focal symptoms were associated with a higher risk of cardiac death but not stroke. There have been two significant retrospective analyses since that trial continuing to investigate non-focal symptoms. A retrospective analysis in 2005 by Compter found no difference in outcomes between focal and non-focal symptoms, but non-focal symptoms in isolation were not included in the study and the imaging modality used was CT. The Rotterdam study by Bos J et al in 2007 was a retrospective analysis from 1990 to 2005, which found that patients with both focal and non-focal symptoms of TIA each had an increased risk of stroke and the imaging modality was MRI. 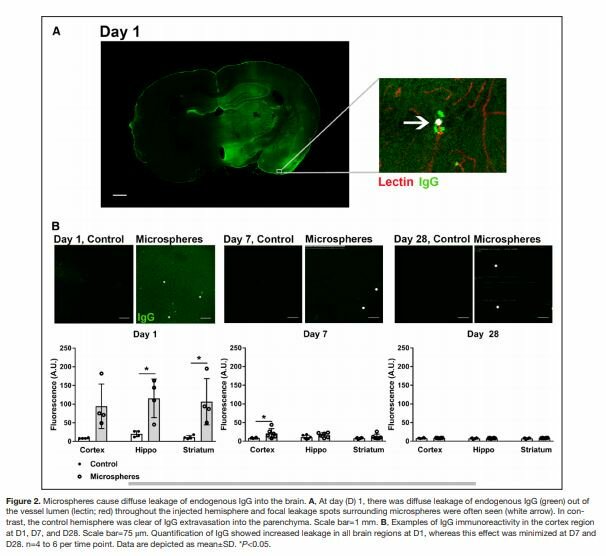 Oxidative stress, activation of proteases and infiltration of circulating white cells are involved in short-term blood brain barrier (BBB) damage and hemorrhagic transformation (HT) after acute ischemic stroke. Iron can generate toxic reactive oxygen species associated with injury to the BBB after cerebral ischemia that may also increase HT. Some clinical studies found an increased risk of HT in the setting of iron overload. García-Yébenes, et al investigated whether iron overload increases the risk of HT with tPA in a murine model of ischemic stroke and sought to elucidate the mechanisms involved. Tandem occlusion, which includes cervical Internal Carotid Artery (ICA) severe stenosis/occlusion and intracranial occlusion, has been a challenge for decades. IV tPA, which was the only available acute stroke treatment before the thrombectomy era, achieves recanalization in as low as 4% of patients. After the publications of 5 randomized trials and subsequent meta-analysis (HERMES) showing the benefit of thrombectomy in large vessel occlusion including tandem occlusion, thrombectomy has become the standard of care for tandem occlusion. However, the best approach to the ICA stenosis/occlusion remained unclear. In tandem occlusion, there are generally three treatment options: thrombectomy alone, thrombectomy with ICA stenting, and thrombectomy with ICA angioplasty. In this entry, I will discuss a recent publication by Panagiotis Papanagiotou and his colleagues regarding the best treatment approach for patients with tandem occlusion. Patients with ischemic stroke or transient ischemic attack (TIA) due to intracranial atherosclerosis often have disease in other vascular territories within the body. As neurologists, we prescribe secondary preventive agents for these patients following a stroke, in hopes of decreasing their risk for future vascular events. In this article, Mirjam Heldner et al. set out to better delineate the relationship between atherosclerosis in other vascular beds and the intracerebral vasculature and how the number of vascular territories effected impacts patients’ overall risk of recurrent vascular events. In a population-based study, the authors sampled patients from a pool of 92,728 patients in Oxfordshire, United Kingdom (part of the OXVASC study) who had a stroke or TIA from 2000 to 2014. The authors investigated patients who had symptomatic disease in their coronary and/or peripheral vasculature in addition to their stroke/TIA. Additionally, they compared atherosclerotic risk factors (hypertension, hypercholesterolemia, diabetes, smoking) among patients and correlated these with the severity of systemic vascular disease. These patients underwent thorough clinical evaluation and were followed up at 1, 6, 12, 60, and 120 months for identification of any further vascular events. Statistical analysis compared the number of atherosclerotic risk factors to the number of vascular territories affected, as well as the rate of recurrence or prevalence of symptomatic vascular disease. There are various strategies to tackle acute Intracerebral Hemorrhage (ICH) with intent to minimize the risk of hematoma expansion and preserve brain perfusion. These have been areas of interest for decades with ongoing research and regular updates in management. In today’s Neuro-Intensive care units, one increasingly encounters patients who are on various antiplatelet (AP) and anticoagulant (AC) agents. These agents, without a doubt, are implicated with spontaneous ICH and subsequent hematoma expansion, too. This review has addressed the burning question: Which hemostatic therapies should be used in spontaneous ICH in the setting of antithrombotic agents? The authors searched multiple databases and reviewed all available international trials until November 2017. They included randomized controlled trials (RCTs) which evaluated any hemostatic intervention for acute spontaneous ICH. A total of 12 RCTs were found relevant and included in this review, which amounted to a total of 1732 participants. 7 RCTs, involving 1480 participants, were on administration of clotting factors, 3 RCTs with 57 participants on antifibrinolytic drugs, 1 RCT with 190 participants on platelet transfusion, and another 1 RCT with 5 participants on clotting factors vs. fresh frozen plasma. RCTs which used aggregated data for ICH, not differentiating spontaneous hemorrhages from others, were excluded. Stroke publishes a regular review of recent, important clinical research from other journals. This Literature Synopses feature is intended for those working in stroke and related fields. However, important science should be shared with everyone who is interested, and not just the experts. When writing the Synopses, I complement the journal article with a plain language summary intended for a non-expert readership. Stroke researchers, and indeed clinical researchers in general, are often guilty of focusing on a single aspect of a person’s physiology. Stroke researchers are primarily interested in the brain and its blood vessels, and so we may sometimes forget that those same blood vessels supply all the other organs of the body. People living with stroke rarely have stroke in isolation. In clinical practice, it is common to see a combination of stroke disease, heart disease, and kidney disease. In this Literature Synopses published in Stroke, I looked at recent research papers that considered stroke and kidney disease together. I specifically chose the topic of kidney disease as it is a common, chronic condition and the number of people with kidney disease is increasing all the time. In this entry, I discuss a recent publication by Mingli He and colleagues investigating the relationship between blood pressure control in the early phases poststroke and risk of subsequent cognitive dysfunction. Poststroke cognitive dysfunction is common, occurring in ~25-50% of patients with acute ischemic stroke. The authors set out to explore the relationship between average systolic and diastolic blood pressure in the first 7 days poststroke and risk of cognitive dysfunction. This elegant cohort study from the Bernese Stroke registry provides invaluable data on the prevalence rates and reperfusion quality of acute ischemic stroke patients with large vessel occlusion (LVO) after intravenous tissue-type plasminogen activator (tPA) administration and before endovascular treatment (ET). After analyzing data from a total of 627 LVO patients, the authors found that tPA treatment results in occlusion site changes (defined as any change of the proximal thrombus end between initial imaging and the first angiographic run) in one out of ten LVO patients. Additionally, tPA-induced reperfusion with Thrombolysis in Cerebral Infarction (TICI) scores of ≥2a and ≥2b was found in 6.2% [Number Needed to Treat (NNT): 9] and 2.9% (NNT: 20) of all cases. In multivariable analysis, intravenous tPA was found to be independently related with a 11-fold increase on the likelihood of ≥TICI 2a reperfusion score, while in turn ≥TICI 2a reperfusion score was independently associated with a 2-fold increase on the probability of long-term favorable outcome (modified Rankin Scale ≤2 at three months). Of specific note is that pre-ET reperfusion was found to be associated with more favorable clinical outcomes independently of subsequent ET. However, in proximal occlusions (internal carotid artery or proximal M1) intravenous tPA was found to be associated not only with very low rates of successful recanalization but also with increased likelihood of perfusion worsening. If 2014 was the year of the thrombectomy, 2017 to early 2018 was the era of the extended time window. 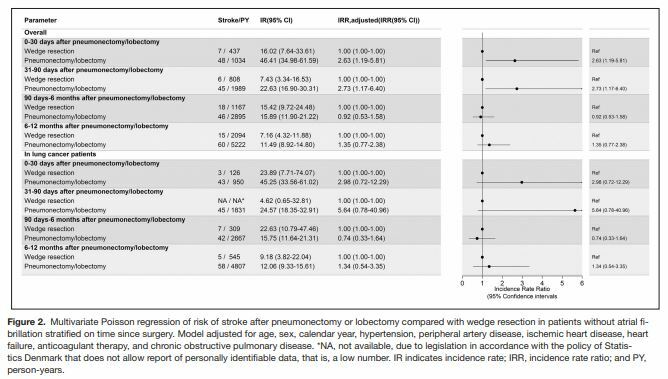 While earlier endovascular trials set the bar at 6 hours (still more permissive than the 4.5-hour limit for IV tPA), there still remained a large proportion of patients for whom we had no acute stroke intervention. Cue DEFUSE 3 and DAWN. These trials confirmed that there was a benefit in patients up to 16 hours (for DEFUSE 3) and 24 hours (for DAWN) from last known normal (LKN) who received endovascular therapy. Both trials were stopped early at interim analysis, as the results were consistent with a benefit from mechanical thrombectomy (MT) compared to medical treatment. Specifically, in DAWN, 49% of patients in the MT group were functionally independent at 90 days compared to 13% in the control group with a posterior probability of superiority of >0.999. In DEFUSE 3, patients who underwent MT had a 45% rate of functional independence versus 17% in the medical group, with p<0.001. For those of us at the International Stroke Conference in January 2018 (or the European Stroke Organisation Conference in 2017), the applause and cheers as the study results were announced were an unforgettable moment, as we now knew that there was a whole new subset of patients for which endovascular therapy would become the standard of care.